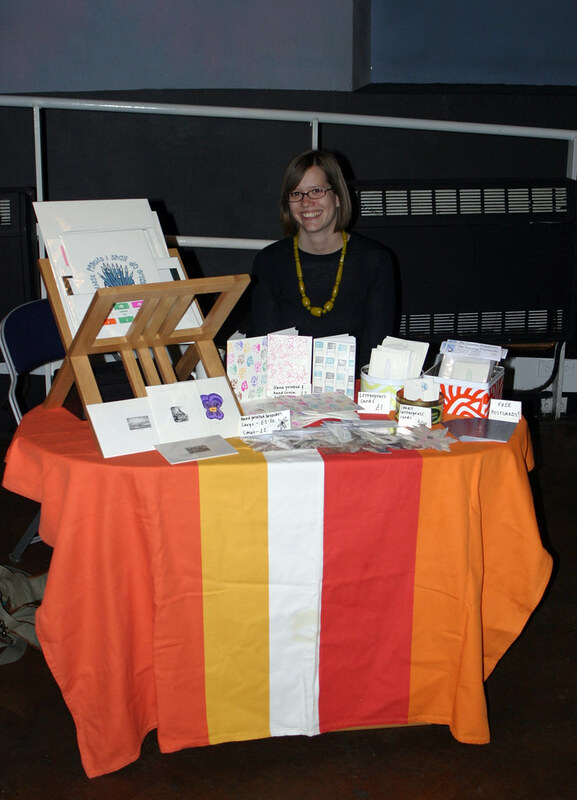 We had a lovely day at Clutter City today - saw lots of people from the last time round, and lots of lovely new people too - so hello if you've stopped by after picking up one of our postcards! 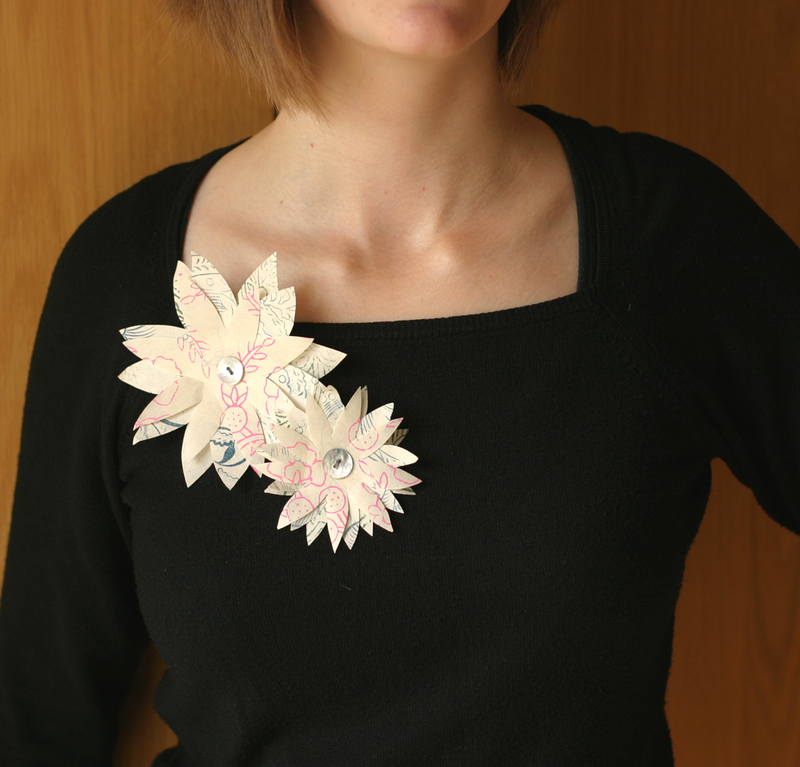 We made lots of shiny new things for our stall, including the paper flower brooches that I made this week. They were really popular, so I'm planning on making lots more! 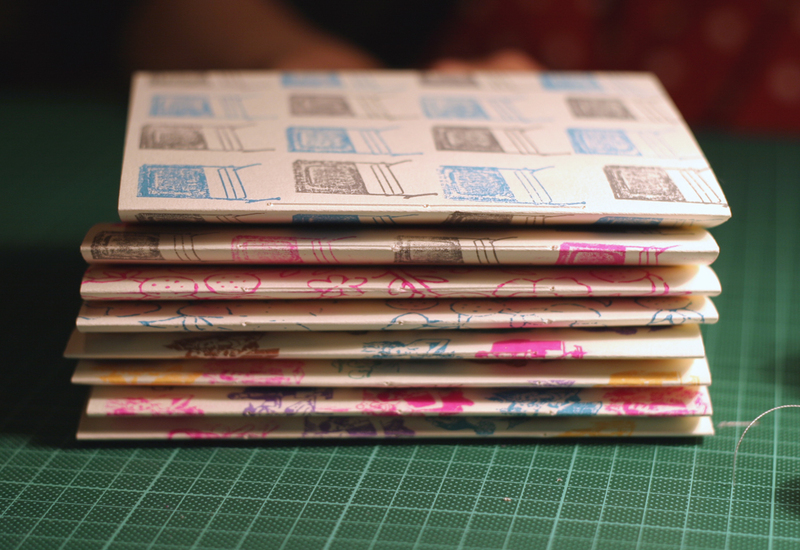 We also made a little pile of hand sewn books with hand printed covers, filled with nice drawing paper. 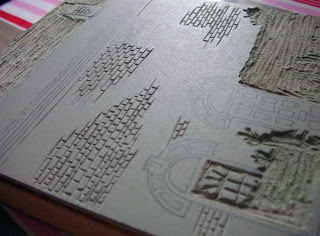 I used a mixture of old letterpress blocks and larger wooden blocks, in all different colours. The ones below have got various 1960s 'dinner dance' blocks all over them. 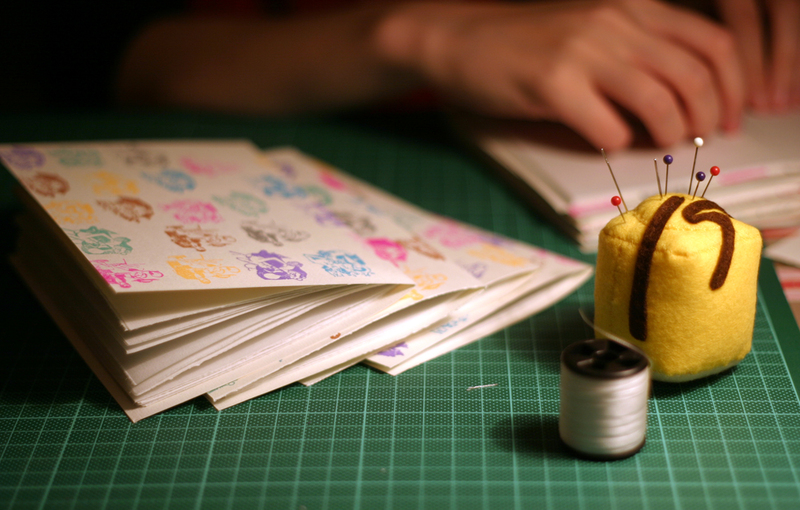 The dandy felt pincushion is by Lupin, and is the nicest thing in my sewing box! 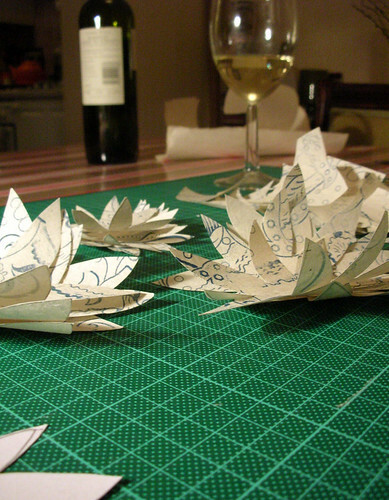 Last night I finished the flowers for Christine's flower project. 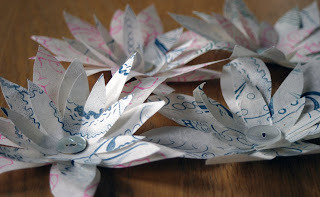 The rest of the flowers have been turned into pretty brooches! They were quite fiddly to attach to a brooch back, but they look great pinned on, and we'll be selling some of them on our stall at Clutter City this Saturday. 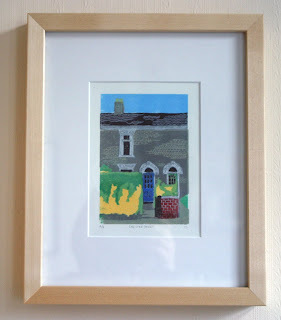 And the finished print framed on the wall - twelve layers, about 6x4 inches, and about six weeks of skullduggery. 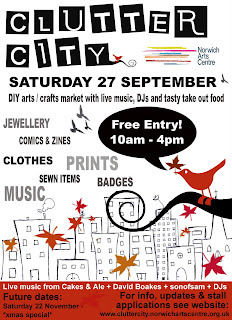 We will be at Clutter City again this Saturday - come and say hello if you're in Norwich! We spent a lovely and mostly sunny week in north Devon. 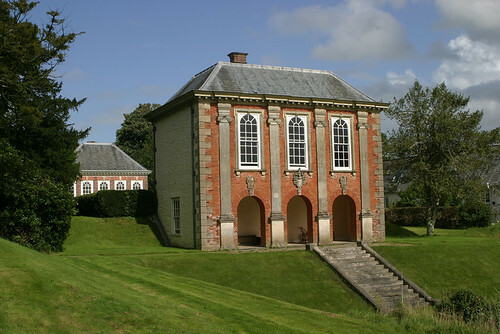 We stayed at the Library, another Landmark Trust property - plenty more photos here. 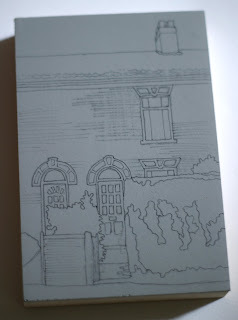 It was Jon's birthday whilst we were away, and for a surprise I gave him a linocut of our house that I have been secretly working on for several weeks - I'll post some photos of the finished print, and some 'in progress' shots this week. Now we are back we are busy working again, but I have been working on the flower project mentioned in our last post. I've spent a couple of evenings cutting out lots of different shapes in various colours ready to make up into finished flowers. Not all of these flower shapes are going to end up being sent off for the project, but I have a plan for the leftovers!